New York is a city that comprises of five boroughs where the Hudson River meets the Atlantic Ocean. “It is really a fun-filled place to have event in a fun-filled way”. This Iconic city include lots of skyscrapers such as the Empire State Building and Sprawling Central Park. Lots of interesting facts about New York can’t be treated in a semester likewise the Unusual and fun-filled activities in New York can’t be immersed in just one article/content. But we managed to bring you the best of the best out of these activities. 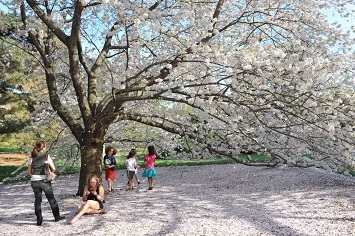 Join us as we go down the list of 15 Fun-Filled and Unusual activities to do in New York. The first on our list of Fun-filled things is the Enid A. Haupt Conservatory. You don’t have to freeze to experience nature, the Enid A. Haupt Conservatory at the NYBG in the New York Botanical Garden is simply glorious. It is a green house in Broux, an inspiration for the park and the conservatory stemmed from Nathaniel Lord Britton and his wife Elizabeth. You can’t afford to miss the fun as you take pictures with conserved botanical trees and the green world. Also mesmerizing yourself as you explore the conserved nature is something you will remember for a life time. It is free to the public. It is always fun-filled strapping on a pair of goggles and indulge in a variety of virtual realities at VR World – a multi-level futuristic gaming mecca where $39 buys two hours of game-play. 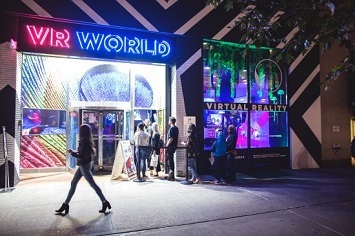 This Arcade in New York offers dozens of Virtual reality experiences, making the high-end technology more accessible to users. The VR World is just a fun-filled place for game lovers, relax yourself there and you won’t forget in a life-time. Decide the right game for yourself and meet yourself in the VR Gaming World. You can become a fruit Ninja and slice up produce with a virtual sword (interesting!!!) or sweat buckets boxing with a virtual opponent (OMG!!!). Make-believe will make you thirsty but seeing and believing will satisfy your thirst. New York is filled with fun-filled but this is quite unusual because you’ve got to enjoy real international grandmothers cooking on a rotating schedule. Take the beautiful boat ride from lower Manhattan to Starten island and you will be rewarded with meals prepared by “nonnas of the world”. Grandmothers from locales like Poland, Columbia, Japan, Jamaica and Egypt come together to prepare beautiful meals on a routine level. 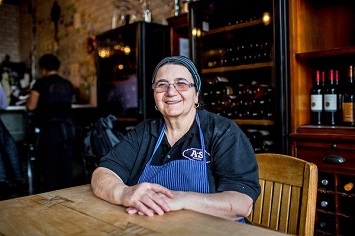 Each nonna informs the eatery’s ever changing menu with her unique fare and even a little love. OMG!!! New York is fun-filled. Cooking nerds can sign up for free daily afternoon cooking classes with the grandmas teaching you how to prepare delicious local foods from their home countries. Isn’t this fun-filled, so get your stomach empty and race down to Enteca Maria to enjoy meals of different countries. 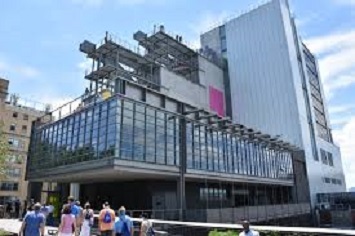 Another Unusual but fun-filled place to visit in New York is the Whitney. The Whitney is an art Museum located in Manhattan, founded by Gertrude Vanderbilt Whitney, a wealth and prominent American socialite and art patron after whom the museum is named. 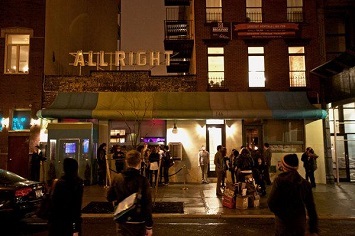 A perpetually packed museum where you can catch rotating contemporary American Art galleries for free on Friday’s evening (or pay anything you wish). It is interesting to know that the museum focuses on 20th and 21st century American Art. It is always fun-filled to have cool music after the day’s stressed work/walk. Then the Baby’s All Right is the best spot to be at night. People believed this beautiful bar to be just a brunch bar but there is a stage in the back room which serves as a venue at night for the city’s coolest live-music, with new performers every night and tickets starting at just $10 per show. Night crawlers would find this place interesting because it is one of the unusual spot for fun-filled live-music experience. Reserve a night in your journey to New York to visit this fun-filled place. We know after this night experience at the Baby’s All Right, you would always remember your visit to the city. This is a sport that made it up to our list of Unusual and Fun-Filled activities in New York. Learning how to bowl is one of the interesting things to do in New York or if you ever had the urge to bowl at any time on any day, Milestone Lanes is open 24 hours a day, seven days a week for you. It’s a no-frills place with decent prices and a good location. Want to have a full-day fun-filled tour? Then a tour to the K—Town in New York is the answer. Korean Town or K-Town as it is simply called is an ethnic Korean enclave in Midtown Manhattan, New York City, centered on West 32nd street between Madison Avenue and the intersection of Sixth Avenue and Broadway, which is known as Greeley Square. The key to Korea town is to look up because in this vertical neighbourhood, many of the signature spas, lounges, fried chicken joints and bookstores hide well above street level. You can also snag a post-meal private karaoke room at Gowanus’ Insa, polish off some char-grilled kalbi at Mapo Korean BBQ in Murray hill or get your fix any 24/7 at Miss Korea Barbecue where you will be opportune to have a taste of Korea barbecue when you are right there in New York. It is interesting and a thing of fun to do as you visit the only Museum in United States that is devoted exclusively to the history, art and technology of movies, television and video. Heading out to the Astoria to visit this media-focused museum is not only a great way to have fun but also the best place to learn the history of movies, TV, Video games and other digital media. Not even your museum-loathing friend will be bored here because it is both fun-filled and educative. Bagel is a bread product originating in the Jewish communities of Poland. 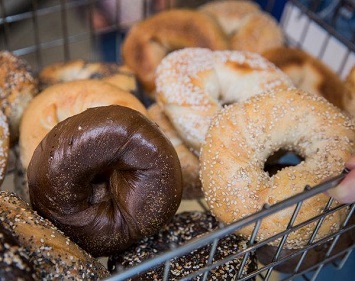 New York has the best bagels in the universe, so why not spend a day trying to eat them all? Get ambitious and make a loop around the New York City bagel Belt at some of the best spots the city has to offer. (1) Ess-a-Bagel (Address: 831 3rd Ave, New York, NY 10022, USA. Hours: Closes 5PM. Phone: +1 212-980-1010). (2) Brooklyn Bagel and Coffee Company (Address: 286 8th Ave, New York, NY 10001, USA. Hours: 10:00AM - 4:30PM. Phone: +1 212-924-2824. Address:831 3rd Ave, New York, NY 10022, USA. One of the fun-filled activity that you must do on a visit to any city is to grab a scenic and interesting overview of the city from a high viewpoint. Standing in the clouds on the 102nd floor of the One World Trade Center, the One World Observatory offers an incredible 360 degree views of the city: The Empire State Building, The Rockefeller, The Statue of Liberty, The Hudson River, The 5 Boroughs and even the Atlantic Ocean are all visible on a clear day. OMG!!! 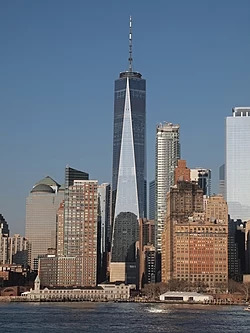 You can’t go to new York without climbing to the tip of the One World Observatory to view the city, your journey will be incomplete and half-baked if you manage to skip this interesting view of the city. Grab your phone and have fun filling your gallery with pictures as you take scenic photos with New York City as it background. New York is a fun-filled place to take pictures for any photographer. From its stunning skyline to its street photography New York City is crammed full to the brim of iconic photo locations just waiting to be captured. So grab your camera and get on a full-day photography tour of the city. (6) Atlas at the Rockefeller Centre and so on and so forth. All these places are just to mention but a few, go into the city, there is no place that doesn’t fit best to take iconic photographs. Have fun!!!! 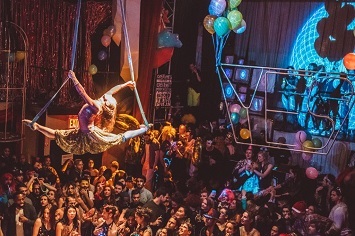 If your companion is fixated on going out to have a fun-filled day, just pick a date and land yourselves at the Bushwick’s underground party venue turned bar/club/aerial performance space. This place has everything, there will be live music, there will be costumes, there will be trapeze artists, there will be glitter, there will be fun, there will be liveliness and there will be high rated performing arts. House of yes is a creative collective and nightclub in Bushwick, Brooklyn, it was opened by artists Kae Burke and Anya Sapozhnikova in 2015. The nightclub is known for wild parties with strange themes, circus performers, burlesque, dancers and more and be prepared to encounter trance DJs, aerialists, marching bands and lots of performers. This place is just a nice place to hangout at night, don’t miss the fun. Get your tickets in advance and costume yourself accordingly to have a fun-filled night. Whiskey Lovers, here we come. Boasting one of the most extensive whiskey selection on the east Coast, the Flatiron room is the place to get your booze on, one shot at a time. The Flatiron Room has been recognized as a world famous destination for whisky enthusiasts, jazz lovers, foodies those seeking expertly crafted cocktails all in a relaxing atmosphere of warmth and comfort. It is also a classy nightspot with a vintage vibe housing a collection of 750+ brown spirits and live jazz shows. 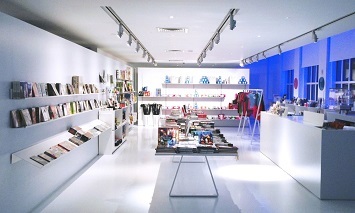 So you can’t afford to miss this, grab yourself together as you visit this amazing room on your visit to new York. Don’t forget to have fun snapping pictures of your drunk self (lol). The fun at this place is incomparable at early morning just after sunrise when the only people you’ll meet are dog walkers and runners. 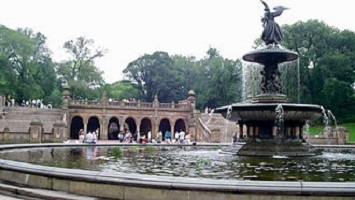 The stunning Bethesda Terrace which leads out to the fountain is one of our favourite spaces in Central Park. The Fountain with its Angel of the Waters Statue located in the center of the terrace makes it a must-to-go place in New York. The terrace is on two levels, united by two grand staircases (one that you must see) and a lesser one that passes under the terrace drive (you just have to experience this). The breathtaking views of both the central Park Lake and woods, the Bethesda terrace located at 72nd street cross drive is an architectural marvel. You’ve got no excuse to miss this fun-filled visit to the terrace. This fun-filled activity is the last on our list here. Taking a ferry to Red hook is an activity on itself with its close-enough views of the Statue of Liberty but the real treat is spending the better part of a day strolling through this tiny neighborhood to shop at the boutiques on Van brunt Street, taste localy made wine at the Red Hook Winery, fill up on seafood and play a round of mini golf at Brooklyn Crab, and catch a concert or exhibit at Pioneer works. 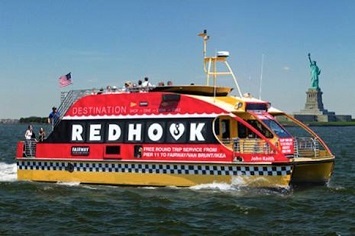 These and many other activities made Red Hook an unusual place to have a fun-filled day.